This youthful design is perfect for special occasions or simply dress to impress. 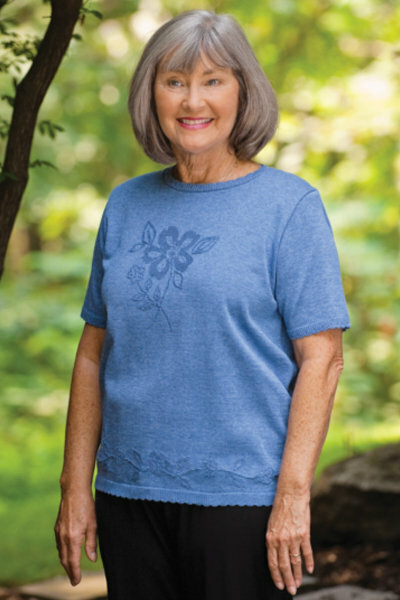 This attractive and stylish famous designer short sleeve top has the adaptive snap back feature designed with the caregiver in mind. 100% acrylic. Assorted solid colors, stripes and prints.